Back in 2007, I received dozens of emails about Tiger Woods and his new muscle-bound body, and people wanted to know if I thought he was using steroids. So I wrote a very controversial blog post about it. And this week that blog post has gotten a lot of attention, given his recently admitted “transgressions”. What did I say back in 2007? Well, back then, I said he’s NOT on steroids. But given his recent behavior and clear lack of judgment…now I’m starting to reconsider. Could I have been wrong about Tiger’s muscle-building all along? I still think it IS possible for him to have gained that amount of muscle NATURALLY. 1) Could the differences in our bodies be due to the bodyweight exercises in my program giving me a more “natural” look while Tiger has done more weight training – and looks bulky? 2) Could the differences simply be due to the way we each genetically respond to training? 3) Could he really be on steroids? So far I’ve received many more “Tiger DOES use steroids” comments on my blog, but maybe its simply because he isn’t using bodyweight bodybuilding methods. In the end, I’m sticking to my original belief that Tiger did NOT use steroids to build muscle. 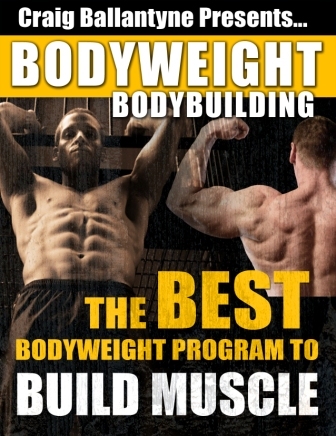 And that my workouts – particularly the bodyweight exercises used in my Bodyweight Bodybuilding type workouts – give me a better looking, all-natural beach body.